CAGAYAN DE ORO, Philippines — The Philippines for the past 2 years has been the fastest growing economy in Asia. And this phenomenal growth has been powered by fossil fuel, making the country among developing nations that registered what experts dubbed as “high-carbon” growth, or an expansion that has fueled increasing greenhouse gas emissions (GHGs), the main cause of global warming. The Philippines’ 7.2 percent economic growth in 2013 was the fastest in Southeast Asia and second only to China’s 7.7 percent for the entire Asia. It was even higher than the previous year’s 6.8 percent, which made the Philippines the sixth fastest growing in the world, according to the 2012 World Wealth Report. If this growth is sustained, then the Philippines, according to HSBC, will be the world’s 16th largest economy by 2050. But alongside this phenomenal growth, the Philippines has also gained the reputation of being the only other country in the Association of Southeast Asian Nations (Asean) — the other being Brunei — that is going the fossils way, instead of taking advantage of its vast renewable energy (RE) sources to power progress. Fossils power 72 percent of the Philippines’ electricity requirement, with the remaining 28 percent sourced from RE. Despite the so-called benefits of fossils, the Philippines however still sorely lacks energy. Mindanao, the second largest island group in the southern part of the country, has been suffering from 4-10 hours of brownouts or power outages daily, costing the economy at least P300 million a day or an annual loss of P65 billion. “At present, our energy mix here in Mindanao is 60 percent RE and 40 percent fossil. But by 2015, this will be reversed,” said Romeo Montenegro, investment relations and public affairs director at the Davao City-based Mindanao Development Authority (MinDA). All other countries in Asean, save a few like Brunei that supply fossil fuels to the rest of the world, “are all moving toward an increase in their RE sources,” he said. In its update during last October’s Department of Energy (DOE) briefing on energy investments for Region X local government units, the Mindanao Power Monitoring Committee (MPMC) said the area’s power mix will consist of 56 percent coal and 24 percent hydro by 2019-2020 — a reversal of the present 52 percent hydro and 10 percent coal. RE sources such as biomass and solar energy will remain at 1 percent each by 2020 while geothermal power — at 5 percent now — will go down to 4 percent by 2020. This scenario for the Philippines’ “land of promise” is very dim. This “reversal” also dismays environmentalists and RE advocates given the government’s oft-repeated pronouncements that it is encouraging RE. The DOE has pegged the country’s untapped RE potential for electric power generation at no less than 250,000 MW, broken down into hydro, 10,000 MW; ocean energy, 170,000 MW; geothermal, 4,000; wind, 76,600 MW; solar, 5 kWh/m2/day; and sugar cogen, rice husk, and coconut, 500 MW. A 1999 US National Renewable Energy Laboratory (NREL) study said the Philippines’ total wind capacity was estimated to produce an installed capacity of 70,000 MW. “Mindanao Grid is experiencing under generation since 2010. The large power plant built in the region is the 210-MW Mindanao coal-fired which was commissioned in 2006. The existing capacity in the region is composed of more than 50 percent hydroelectric power plant which is dependent on the availability of water and affected by weather conditions. A total of 1,600 MW additional capacities are needed in the planning period to meet the electricity demand and the required reserve margin of the grid,” the DOE said. The World Wildlife Fund (WWF) urged the government to show to the rest of the world its position on the RE debate raging the world over because of climate change. “With the demand for energy growing, the Philippines should all the more strengthen its position in tapping and harnessing alternative sources of energy, such as renewable energy,” the non-government organization (NGO) said. The DOE is a staunch supporter of Earth Hour. However, it also shows a bias for the development of fossil fuel plants to address Mindanao’s electricity problem as well as power the island’s and the country’s development, instead of tapping its massive RE sources such as hydro, biomass, solar, wind and tidal. While pronouncing support for RE, the DOE has approved left and right various development projects for fossil fuels, such as the 300-MW coal-fired power plant of Aboitiz-owned Therma South Inc (TSI), which will go online in the second half of 2015; and Sarangani Energy Corp’s 200-MW coal-fired power plant, which will go online on February 2015. The 15-MW diesel power plant of the Mapalad Energy Generating Corp and the 15-MW peaking plant of the EEI Power Corpn went online in October and August last year, respectively. For RE sources, only one project has moved on to the construction phase: the Energy Development Corp’s 50-MW Mindanao 3 Geothermal project, which is scheduled for commissioning in June 2016. Engineer Cerael “Dodong” Donggay, president and chief executive officer of the Greenergy Development Corp, a leading proponent of RE in Mindanao, said Mindanaoans’ call for harnessing the abundant RE sources on the island, such as hydro, has fallen on deaf ears. Donggay, former vice president for Mindanao of the state-owned National Power Corp (Napocor), said the so-called Mindanao power crisis could have been avoided if only government listened to Mindanaoans’ call for clean hydropower project developments to take advantage of the island’s massive RE sources to produce cheap electricity. “But Mindanao’s call for clean hydropower project developments has so far seem to remain unheeded by the DOE, indicating a partiality towards approving fossil fuel-based coal plants such as the 300 megawatt Aboitiz thermal plant in Davao, the 200 megawatts of Conal Holdings in General Santos, and other coal plants from high-profile developers such as the San Miguel and Ayala groups, among others,” Donggay said. MinDA’s Montenegro said RE projects have yet to take off because of “bottlenecks” in the approval process. After the enactment of Republic Act No. 9513 or the RE Law in 2008, more than 200 applications for various RE projects, particularly for mini- or small-hydro plants in Mindanao were filed, but only about 50 of them were approved and given service contracts. “But none of these 50 has actually been constructed after all these years. We are trying to figure out which of these have encountered bottleneck at what level,” Montenegro said. Based on dialogues with RE project proponents, 2 challenges pertain to “policy bottlenecks at the national level” and “bottlenecks at the local government level.” Before an RE project can proceed to construction, its paperwork has “to go through layers” of different government agencies. And the approval of all its documentation “will take as much as 7 years,” Montenegro said. “It is easier to breeze through approval if you develop a coal or diesel projects. But if you apply for renewable energy projects, you have to go through layers of approval that will take as much as seven years,” he said. “This is very unfortunate. The stark truth is RE is unable to enjoy the same benefits that coal does since the policy isn’t being implemented and the agency mandated to do it, that is the DoE, is delaying this and instead making way for the proliferation of coal in the country,” said Anna Abad, formerly of Greenpeace Southeast Asia. Greenpeace has been advocating for an energy revolution scenario for the Philippines, where a massive shift to RE and energy efficiency measures would wean the country away from the rising costs of fossil fuels. But 5 years since the passage of the RE Act of 2008, this alternative source has yet to be fully harnessed and mainstreamed. In its “Green is Gold” report, Greenpeace said the Mindanao grid can be RE-powered by as much as 57.16 percent if measures are quickly implemented, rising to as much as 77.34 percent by 2020. Many have praised the Aquino administration’s sound fiscal policies and the excellent skills of its economic managers that have made the Philippines the fastest growing in Asia in the past 2 years. However, they also noted that policies and managerial skills alone will not sustain the country’s development especially because of climate change. “Climate change and extreme weather disturbances pose the greatest threat to economic progress. The Philippines, situated in the Pacific typhoon belt, is one of the countries most vulnerable to climate change,” said Jose Ma. Lorenzo Tan, vice-chair and CEO of WWF-Philippines. “As much as this economic growth is needed to spur national development and progress, it is imperative to look for ways to ensure that these advancements are sustainable and inclusive. We must examine how economic activity that is largely based on the use of fossil fuels will affect the country and the planet,” Tan said. The International Energy Agency (IEA) said 43 percent of carbon dioxide emissions from fuel combustion in 2010 were produced from coal, whereas oil and gas emitted 36 percent and 20 percent of CO2, respectively. Like other developing countries, the Philippines plays a very minor role in total global carbon emissions yet suffers an inordinately higher cost. The country emits just 0.9 metric tons of carbon per capita, compared to the United States’ 17.6 metric tons. Philippine Climate Change Commissioner Naderev “Yeb” Saño said Filipinos “lose 5 percent of our economy every year to storms.” Conservative estimates put the reconstruction costs of Supertyphoon Haiyan (local name: Yolanda), which devastated the Visayas region last November, at $5.8 billion. “The energy sector is the largest contributor to global greenhouse gas emissions,” according to a report of the Intergovernmental Panel on Climate Change (IPCC). 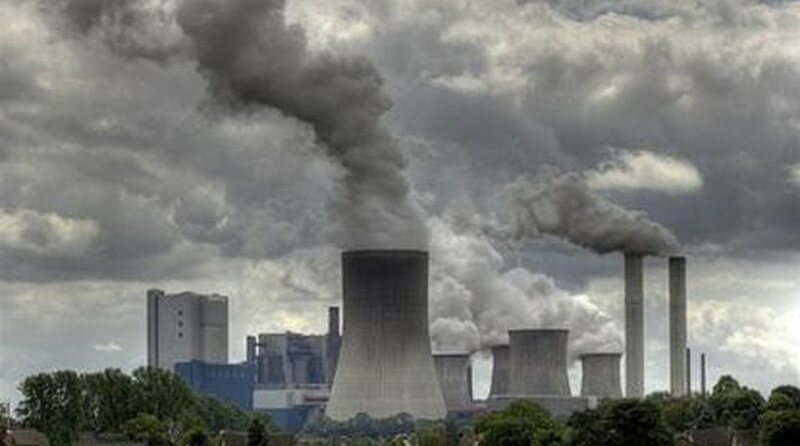 “In 2010, the energy supply sector was responsible for approximately 35 percent of total anthropogenic GHG emissions. Despite the United Nations Framework Convention on Climate Change (UNFCC) and the Kyoto Protocol, GHG emissions grew more rapidly between 2001 and 2010 than in the previous decade,” the report said. “Growth in sector GHG emissions accelerated from 1.7 percent per year from 1991-2000 to 3.1 percent per year from 2001-2010. The main contributors to this trend were a higher energy demand associated with rapid economic growth and an increase of the share of coal in the global fuel mix,” the report said. The IEA said the value of CO2 emissions from electricity and heat production in the Philippines in 2010 was 34.32 million metric tons (MMT), or an increase of 28.28 MMT to the total CO2 emissions value of 6.04 in 1971. The EIA and World Bank said the Philippines’ fossil fuel consumption was 56.2 percent, 60.2 percent and 59.7 percent of total energy used for 2009, 2010 and 2011, respectively. The International Energy Consultants (IEC) said at end-2011, imported oil and coal plants consisted 49 percent of the energy mix of the Philippines. “Fuel for these plants is paid at full international market prices. In addition, domestic gas plants (which comprise approximately 18 percent of the energy mix) are supplied indigenous natural gas at prices which are pegged to international prices,” the IEC said, adding that this state of affairs is unlikely to change in the near future, absent the discovery of cheap domestic fossil fuel alternatives. Instead of pushing for fossil fuel, which will all the more make the country more vulnerable to the impact of climate change, the government must seize the opportunity to make the economy more climate-resilient by harnessing the Philippines’ RE potential, WWF’s Tan said. “As the Philippines is poised to achieve even better economic progress, it is an opportune time to re-channel business strategies, rethink development plans and restructure energy regimes to encourage more investments in RE and thus, achieve a zero-emissions economy,” he said. This dependence on imported fossil fuels makes electricity tariffs in the Philippines one of the highest in the world. In a study done by the IEC in 2012 for the Manila Electric Co (Meralco), the utility’s average retail tariffs — pegged at $0.2026 or P8.82 per kilowatt-hour (kwh) — are ranked ninth highest in the world and the second highest in Asia next only to Japan. The biggest component of this tariff is the generation charge at 65 percent of the total. “Business as usual will see the Philippines shift from a relatively low-carbon energy sector (over 40 percent of energy comes from renewables) to a relatively high-carbon sector (only 14 percent from low-carbon sources). With the population set to double before 2040 and energy demand growing strongly, the Philippines will become a more significant factor in global emissions. Emissions in the energy sector could quadruple before 2030 as high-carbon infrastructure gets locked-in,” according to a report of the Foreign and Commonwealth Office in London. “On the back of successive years of 7 percent growth and relatively low inflation, the Philippines has received some plaudits for its economic performance and relatively sound financial position. But … growth will not be sufficient in the longer term. Energy is a part of the long term challenges that will need to be dealt with if growth is to be sustainable and inclusive,” it said. While the Philippines is blessed with so much RE sources that could power sustainable development and growth, it is “a net energy importer (mostly of oil and coal),” the report said. Experts agree that the Philippines cannot afford to delay much longer a transition to RE if it is to sustain development and avoid the catastrophic impact of climate change, of which the energy industry is a leading contributor. They agree that taking early action against climate change through mitigation far outweighs the costs and economic impact of inaction. Tapping the vast sources of RE will help the country transition to a low-carbon economic growth and help achieve for Filipinos an environmentally secure future. Philline Marie Paye Donggay, low-carbon development project manager at WWF Philippines, said the country must be “proactive” even though its contribution to climate change remains low so far. “It is my personal opinion that a country such as the Philippines, which bears the brunt of climate change impacts must be proactive in this regard, in effect also showing other developing countries that we can proceed with development the low-carbon way starting with renewable energy transition,” she said. Weaning the Philippines from fossils and transitioning to RE is a change that government has to do if it is to sustain development and progress for every Filipino. “The DOE’s Renewable Energy Management Bureau does have a comprehensive RE plan for the Philippines but the government as a whole, as most organizations are, has a resistance to change. When fossil fuels have been dependable sources over the past decades, a complete transition to renewables is a foreboding concept,” Donggay said. “And yes, there is the cost issue—but this is where forward-thinking is needed for energy planning. A renewable power plant that runs on free fuel forever might be expensive now but it will pay off with 100 percent certainty. Case in point, geothermal and hydro plants,” she added.